Home / austiNuts Blog / Get austiNuts delivered 24/7 in Austin Areas! Get austiNuts delivered 24/7 in Austin Areas! 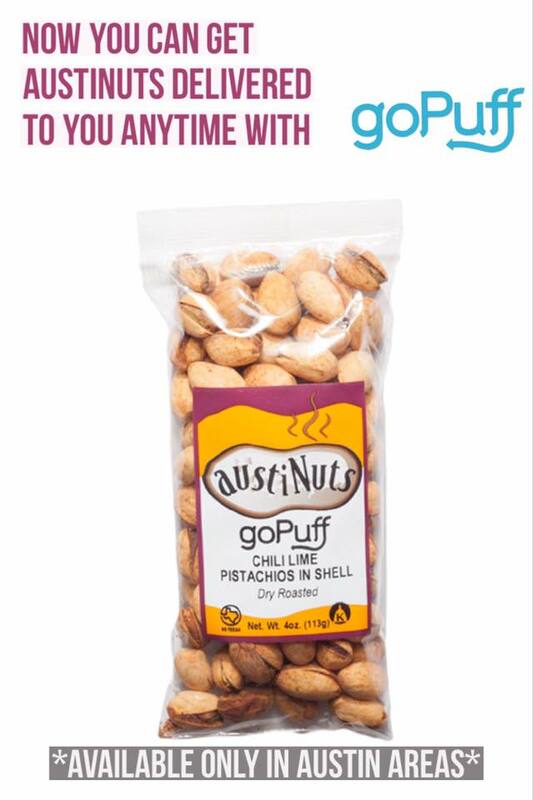 austiNuts has officially partnered with goPuff© to provide the Austin area with austiNuts products 24/7! "In today’s world, convenience is king. You jump through enough hoops, so why not simplify and streamline where you can? At goPuff, we take convenience seriously, and for us it’s about bringing you what you need, as soon you need it, with nothing but a few taps and 30 minutes in between..."
Well you have heard it straight from the source! In only 30 minutes you can have your favorite austiNuts snacks in your hands in 30 mins!